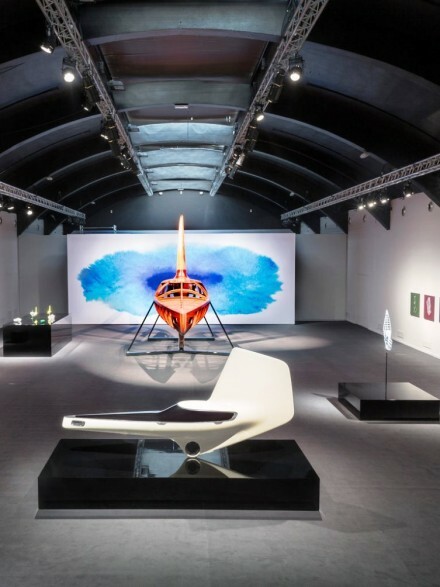 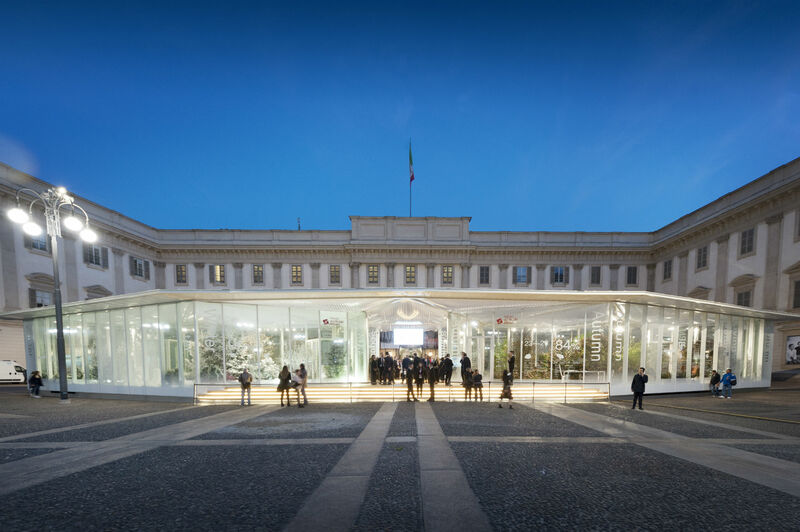 A warm evening that almost preludes to the summer welcomed 300 selected guests in the installation that marks the return in style of the Salone’s initiatives in the city. 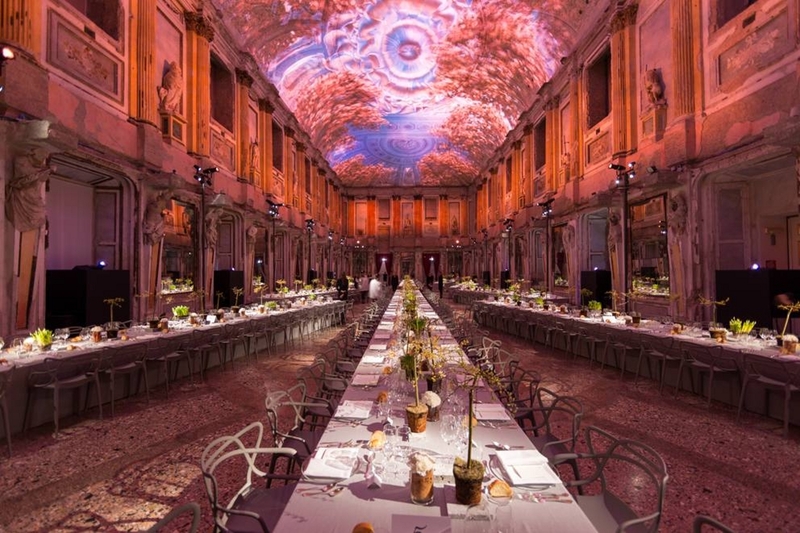 A red carpet started earlier with a visit to the Carlo Ratti “Quattro Stagioni” installation in Piazzetta Reale and then continued inside the Palazzo halls with an aperitif and a placé dinner. 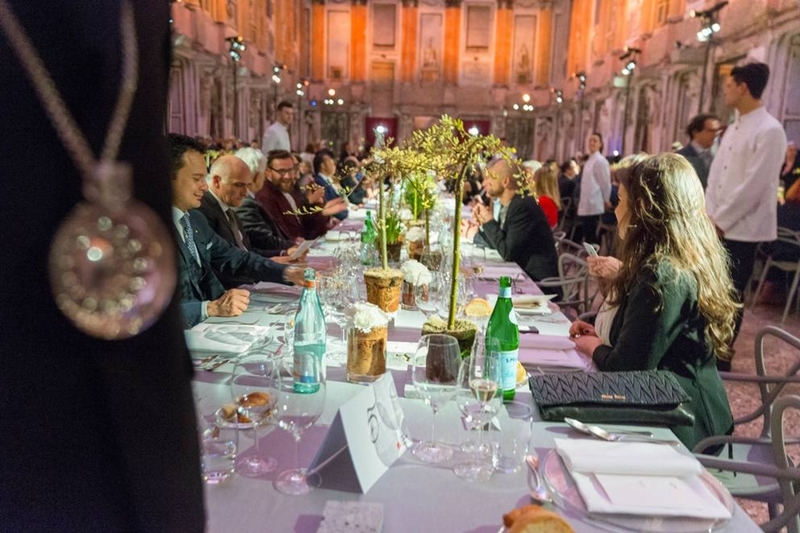 A dinner for 300 highly selected guests and the official inauguration opened, in the presence of the highest city, regional and state authorities, an exciting event that awaits 400,000 visitors and has opened 500 public places to the installations. 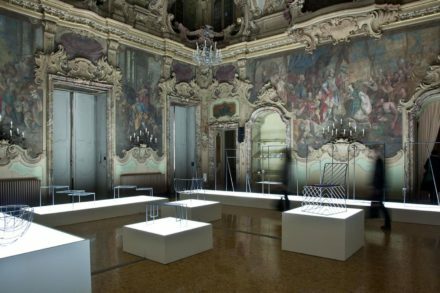 The ever-attractive Sala delle Cariatidi, a memory of an ever-present past, gains with the dusk, and, just long enough to sit at the long tables also in the form of a broken lozenge, the future explodes thanks to a sophisticated video technology in four seasons that animate the space of light, colors, movements, spellings, signs. 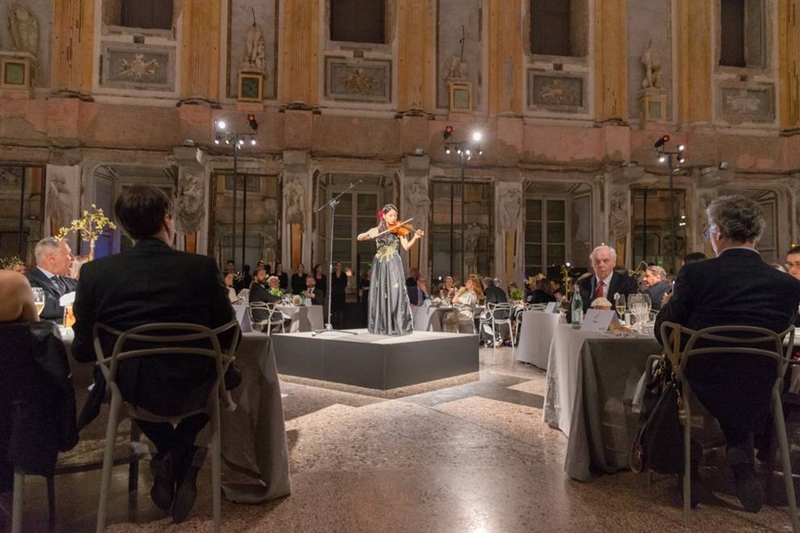 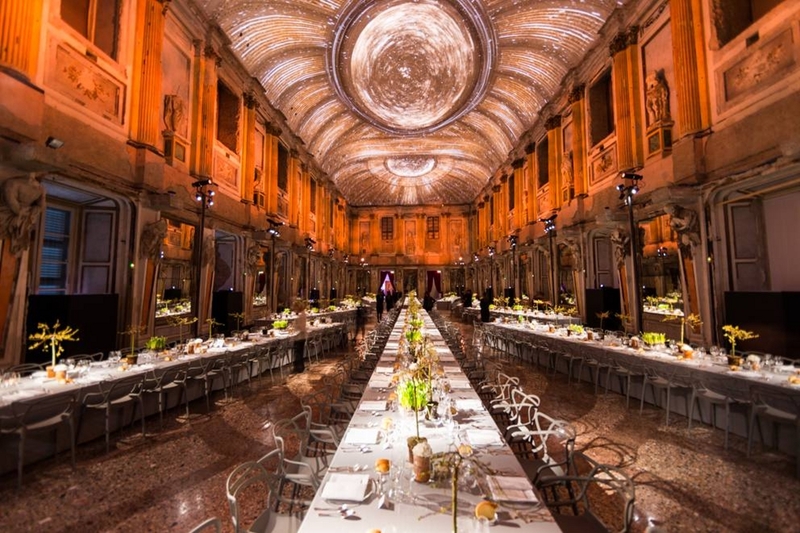 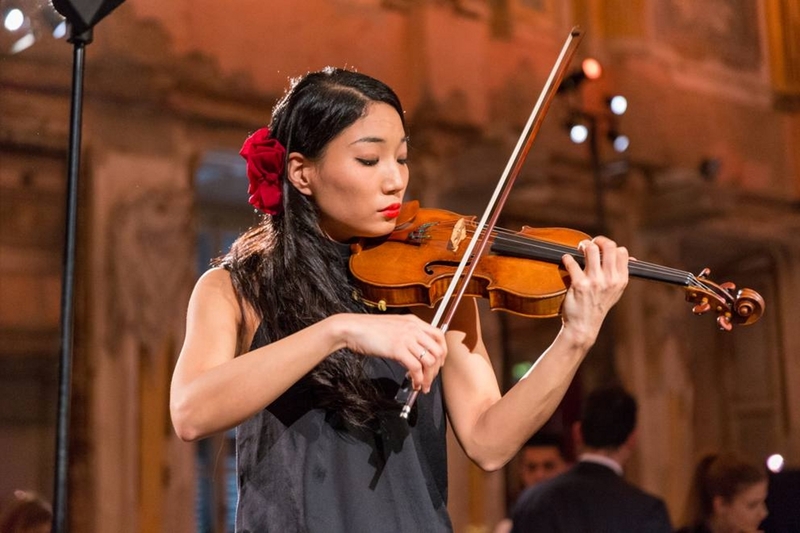 Elegant clothes, heels and big smiles: at the inaugural dinner of the Week, yesterday at Palazzo Reale, there was the whole Milan that counts. 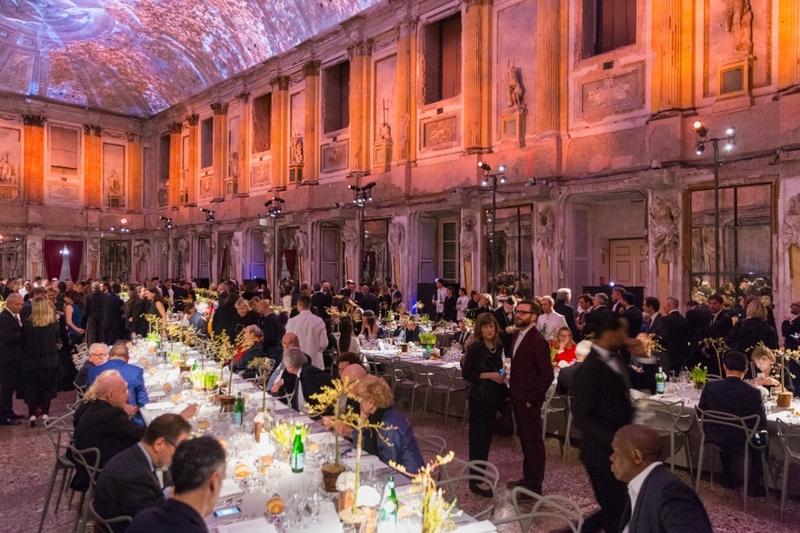 Guests were served a menu of spaghetti with tuna, risotto with asparagus, sea bass in stewed vegetables, sweet «star dust» and cannoncini, with Ca ‘del Bosco wines from the Maurizio Zanella winery. 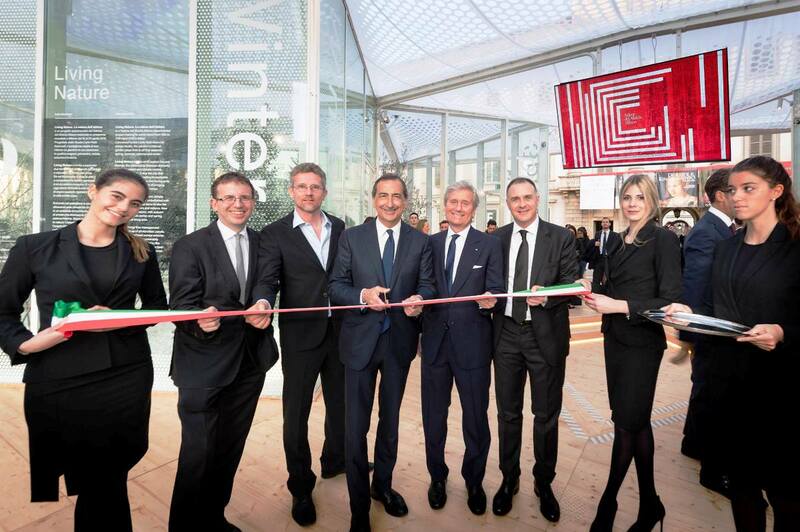 Among the guests are the archistara Patricia Urquiola, Mario Bellini and Philipp Stark (who had fun filming the room with his cell phone), Fabio Novembre, the president of the Region Attilio Fontana, the president of the Chamber of Fashion Carlo Capasa, Nicola and Allegra Porro, the councilor Cristina Tajani, welcomed by the president of the Salone del Mobile Claudio Luti and the general manager Marco Sabetta. 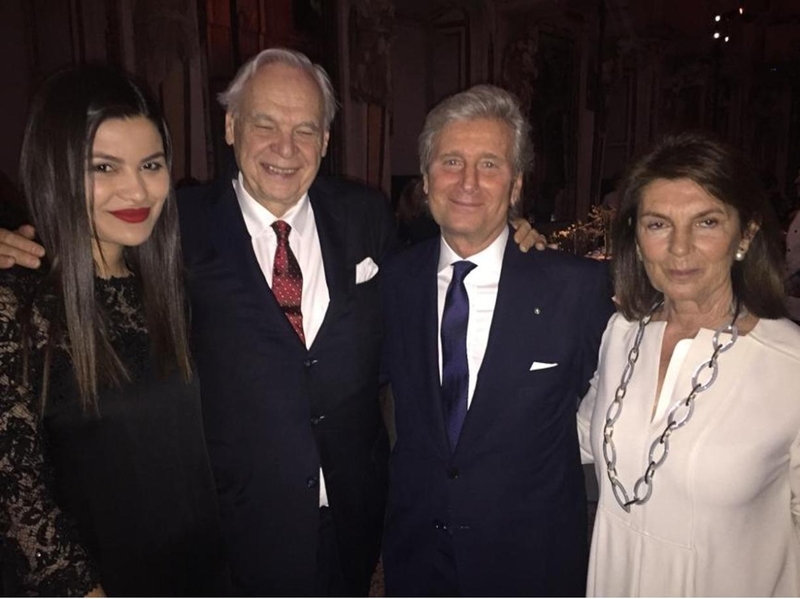 From the mayor Beppe Sala accompanied by Chiara Bazoli to the councilors Filippo Del Corno and Cristina Tajani, by the superintendent of the Teatro alla Scala Alexander Pereira with his wife Daniela De Souza to the prefect Luciana Lamorgese; and then the director of Corriere della Sera Luciano Fontana, the architects and designers Mario Bellini, Antonio Citterio, Stefano Boeri. 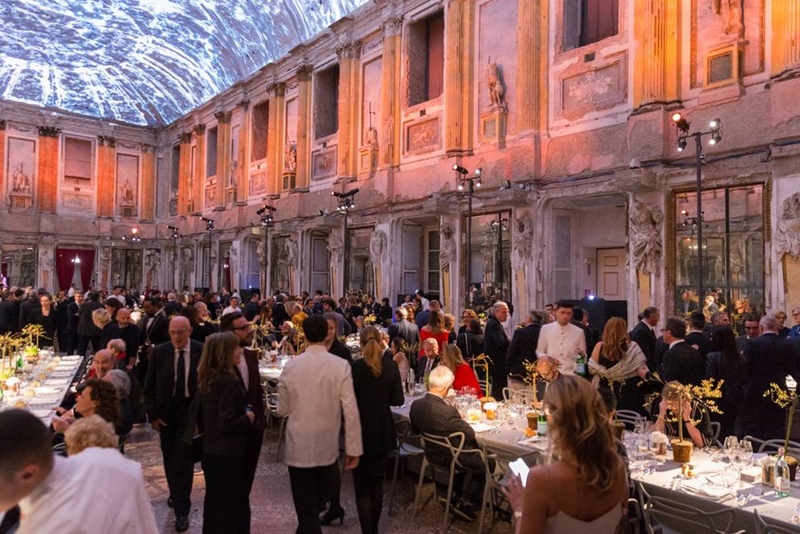 And also Carlo Ratti, Philippe Starck, Piero Lissoni, Italo Rota, the photographer Giovanni Gastel, the CEO of Fondazione Fiera Giovanni Gorno Tempini, Carlo Capasa and the actress Stefania Rocca, Pierluigi Loro Piana and many other entrepreneurs. 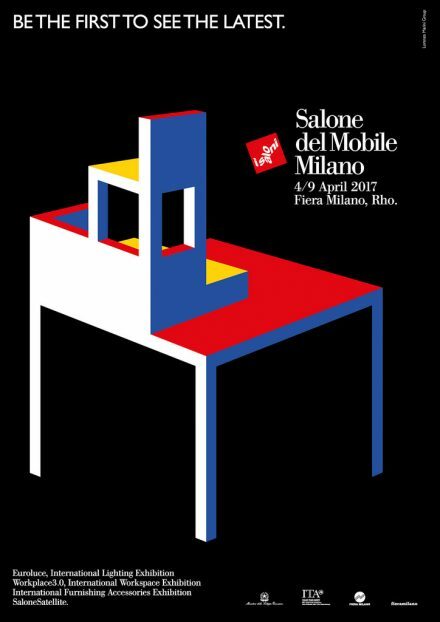 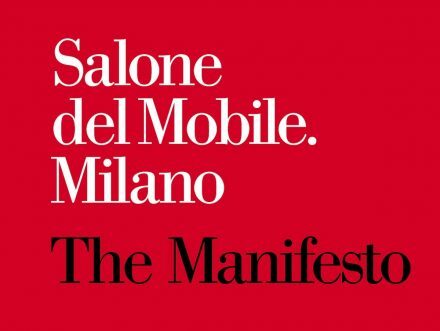 The president Claudio Luti launched the Project of the Future through the words of the Salone’s manifesto already presented at the time, words that “make the difference” and the mayor Giuseppe Sala echoes him saying that the Salone can only be in Milan, where they are expecting 400 thousand guests and 500 public places have been granted to the peaceful occupation of the installations. 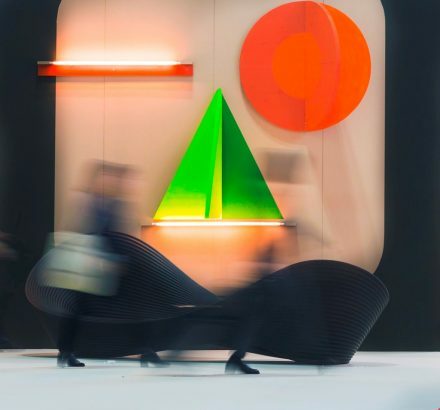 The new president of the Lombardy Region Attilio Fontana cites the Ambrosian rite of work as a religion and the president Federlegno Emanuele Orsini enumerates significant figures: 26.9 billion turnover from furniture, growing exports with double figures of 36.5% for the China. 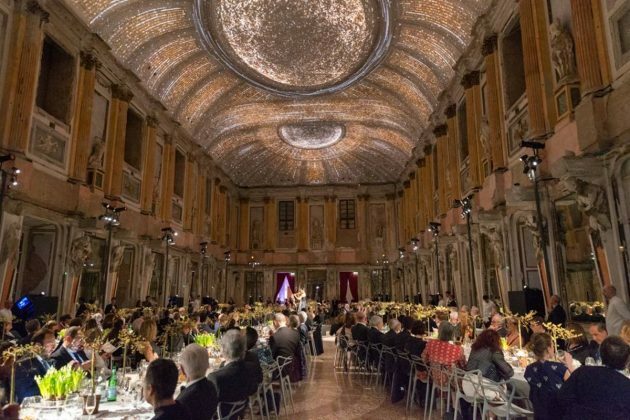 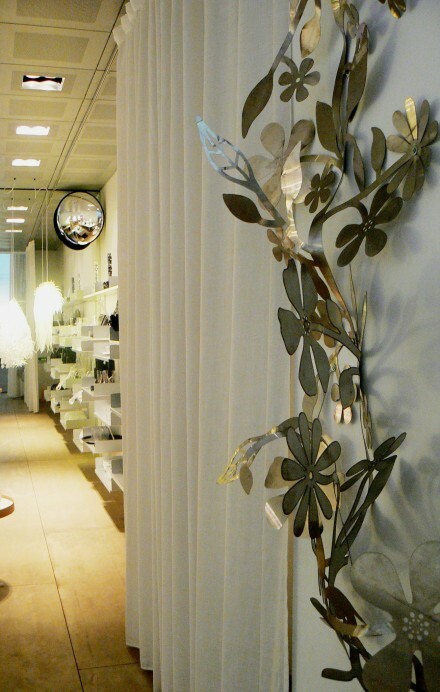 The assist is for the president of Confindustria Vincenzo Boccia, who remembers that we are still the second industrial country in Europe and that only Italy is the country of beauty combined with balance. 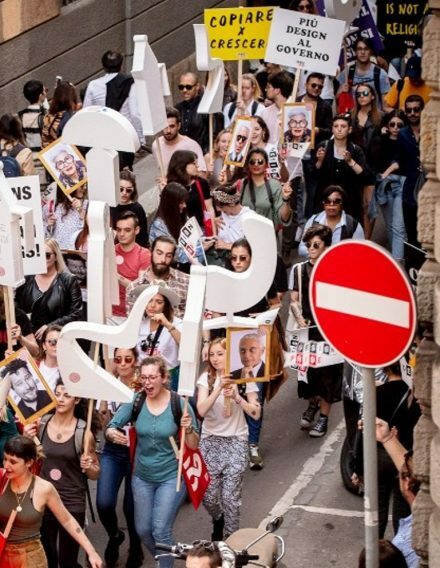 The opportunity is for everyone to ask soon a government in Rome that does not go back compared to the results achieved, but ahead. 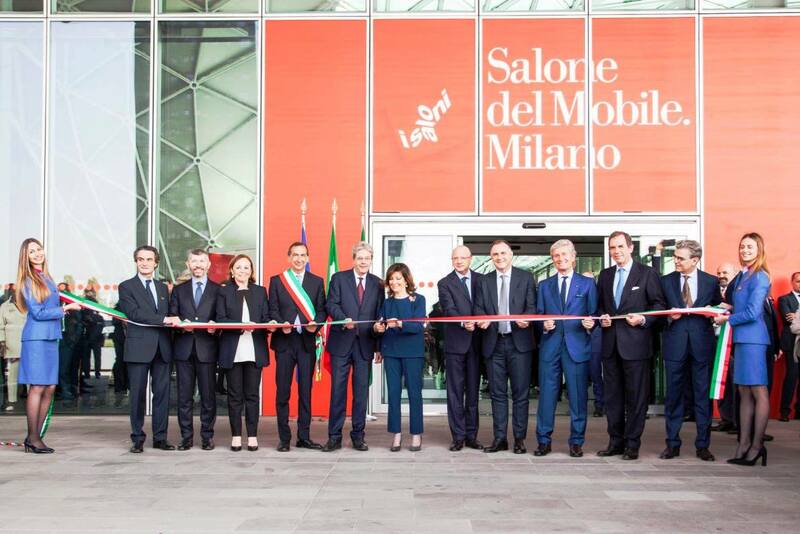 It is therefore up to the Prime Minister Paolo Gentiloni to share the emotion for the 79 thousand Italian companies that in 2017 exported 445 billion euros as a result of an effort by the Italian community that governments can only help and not hinder. 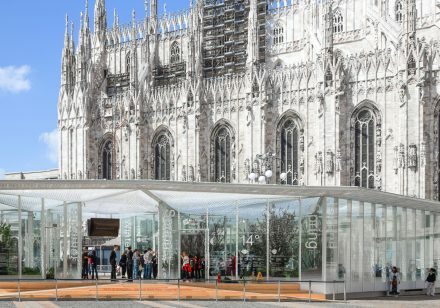 The Piazzetta Reale in Milan easily accommodated the elongated glasshouse that housed Nature, data and technology, re-propose the four seasons in a compact format and can be visited in a few minutes ( “Living Nature”, the nature of living by Carlo Ratti Associati ).